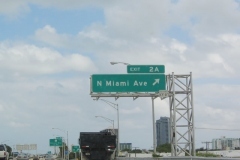 This sign bridge to North Miami Avenue (Exit 2A) was completely replaced after 2011 when the departure ramp was widened to two lanes. 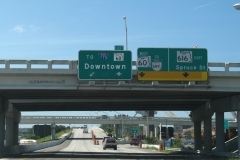 Newer signage added double arrows and an exit only indication for the right-most lane. 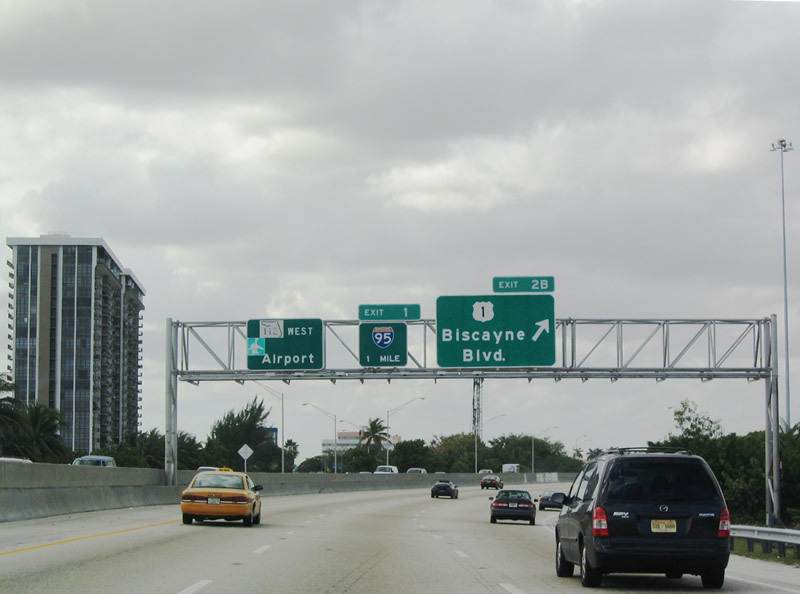 Photo taken 12/28/03. 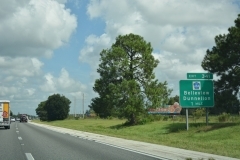 An older style reassurance marker stood along side Interstate 195 east prior to the freeway crossing over NE 1st Street. 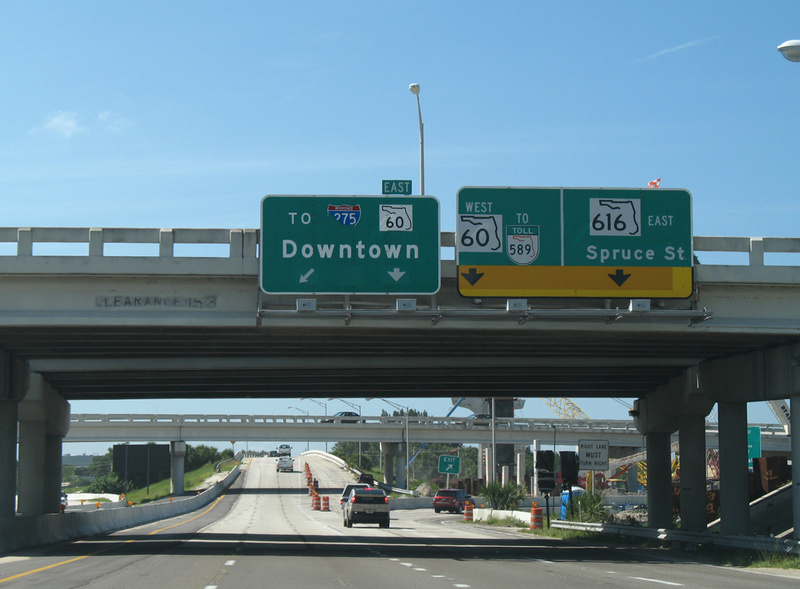 This assembly was tagged by graffiti in 2006, replaced by 2007 and removed by 2013 with a wider shield. 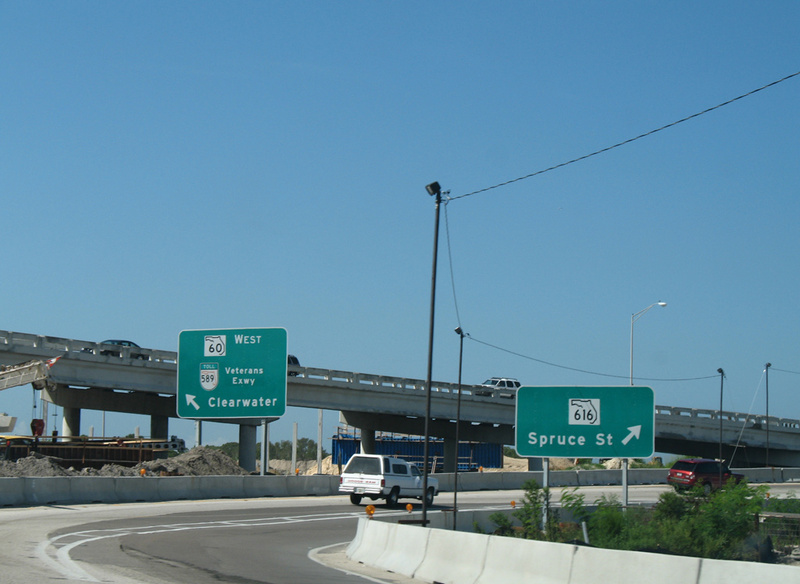 Photo taken 03/25/06. 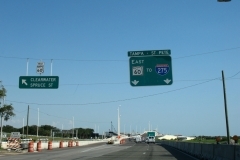 Driving on the causeway portion of the Julia Tuttle Causeway, motorists passed by this older style shield until sometime in 2007 when it was replaced. 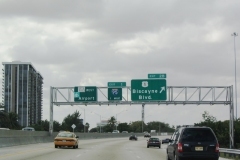 Photo taken 03/25/06. 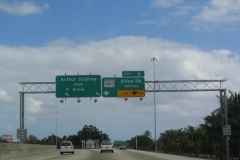 Former guide sign on the approach to the split with Alton Road (Exit 5) neglected both an exit tab and a Florida 907 shield. 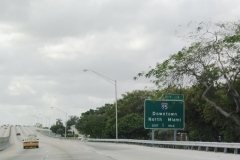 Its replacement corrected those omissions and distinguished the Art Deco Historic District. 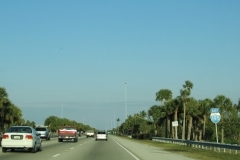 Photo taken 12/28/03. 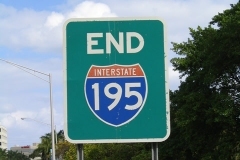 Interstate 195 east curves northeasterly as traffic leaves for Exit 5 to Florida 907. 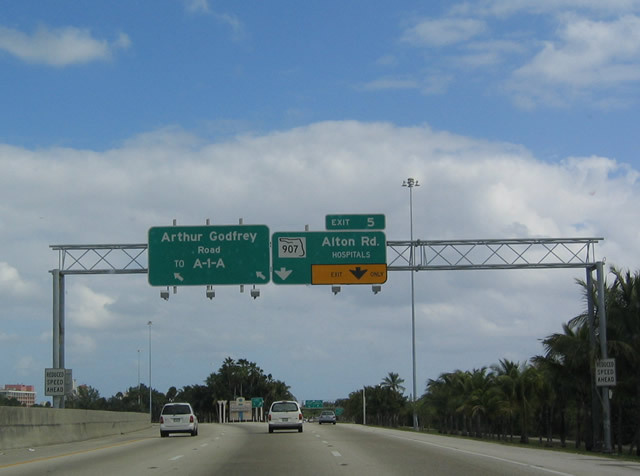 A slight modification to the Exit 5 sign by 2011 replaced annotation and added cardinal directions to Alton Road. 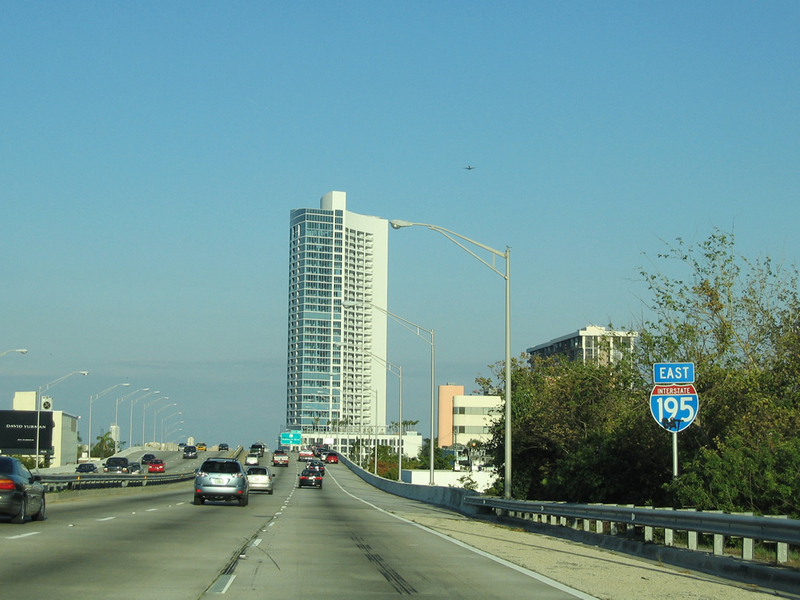 Photo taken 12/28/03. 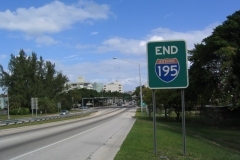 Prior to 2008 this placard stood on the approach to the signalized intersection with Alton Road (Florida 907A) indicating the formal end for I-195. 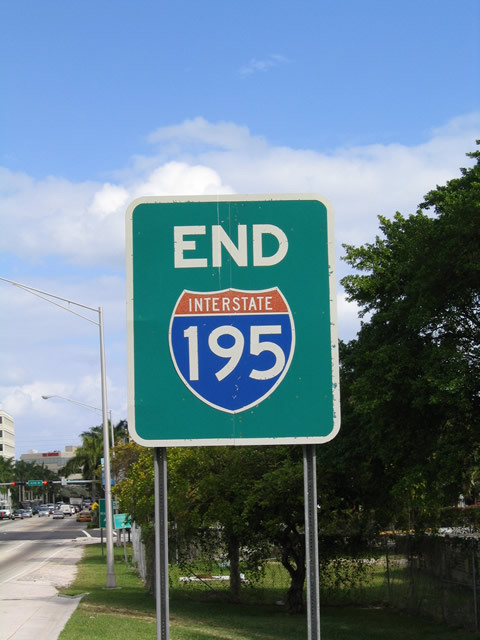 When this sign was removed it was never replaced, so I-195 ends with no indication. 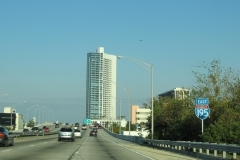 Photo taken 12/28/03. 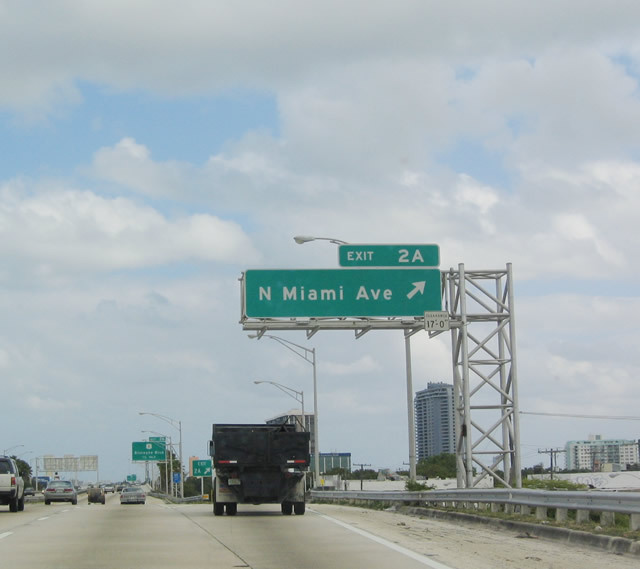 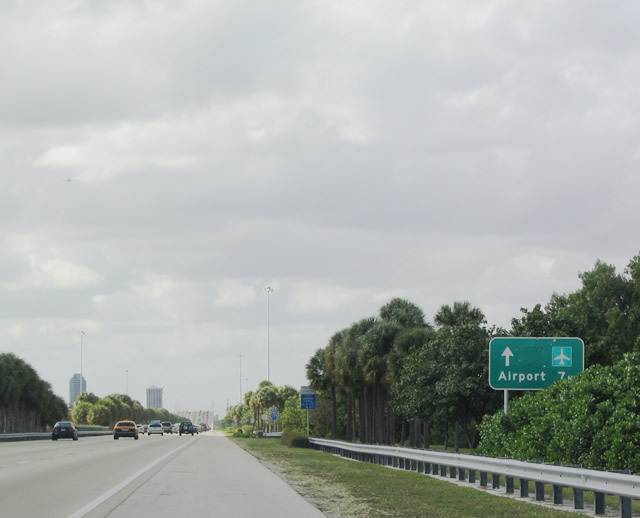 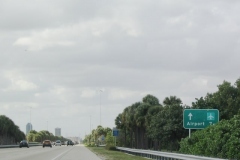 This former guide sign, since been replaced with a similar sign, alerted drivers to continue ahead to Miami International Airport (MIA) in seven miles. 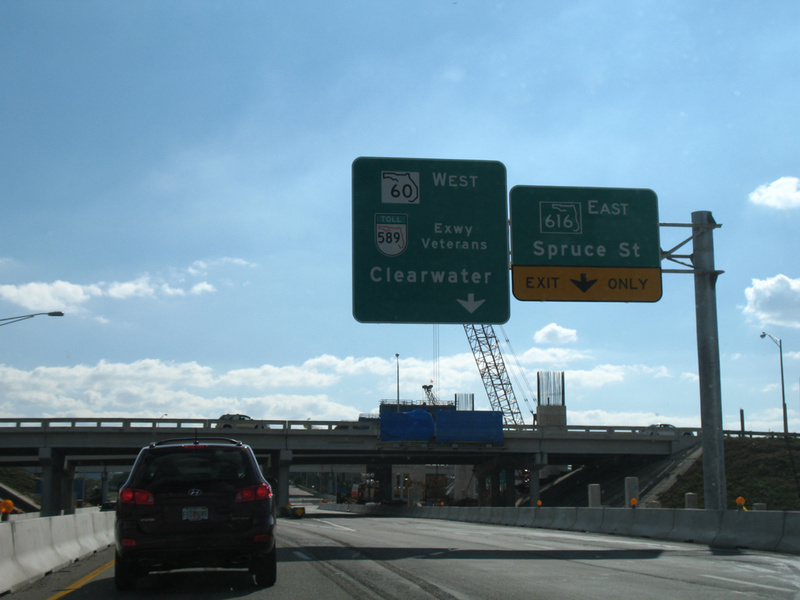 Photo taken 12/28/03. 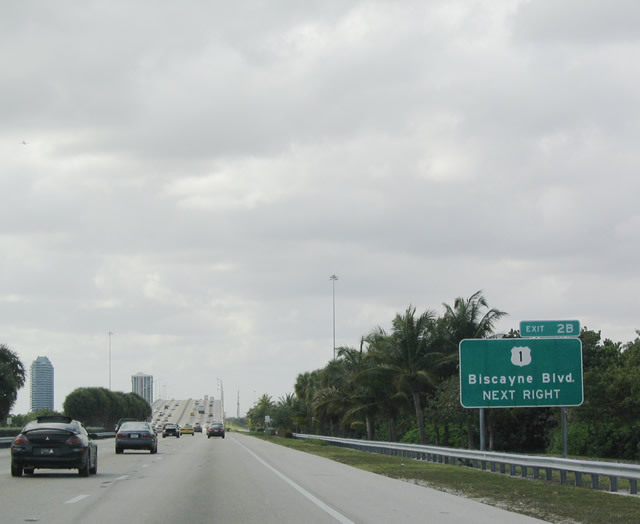 A ramp will depart after the high rise span ahead for U.S. 1 (Biscayne Boulevard). 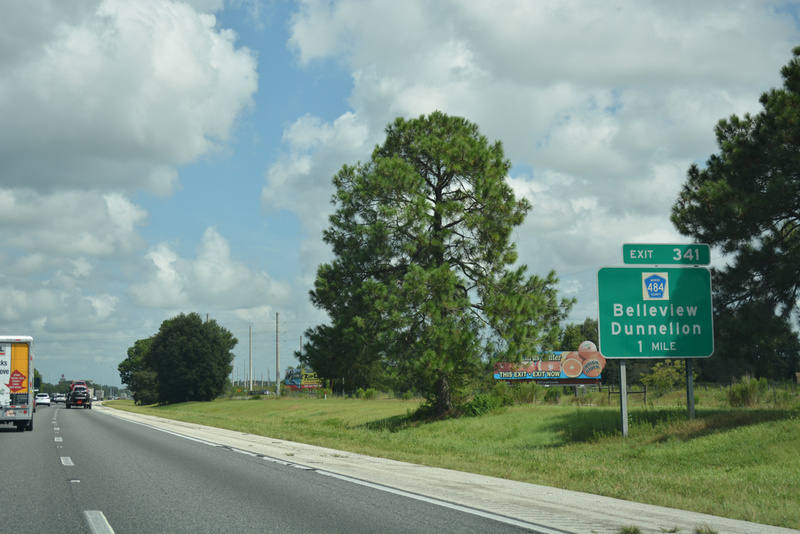 This dated sign was copied and affixed to an overhead. 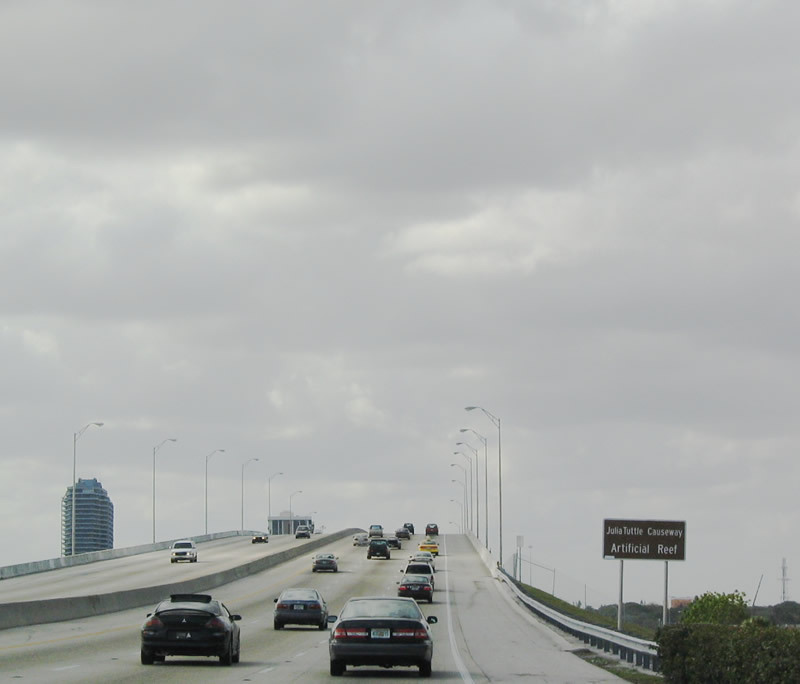 Photo taken 12/28/03. 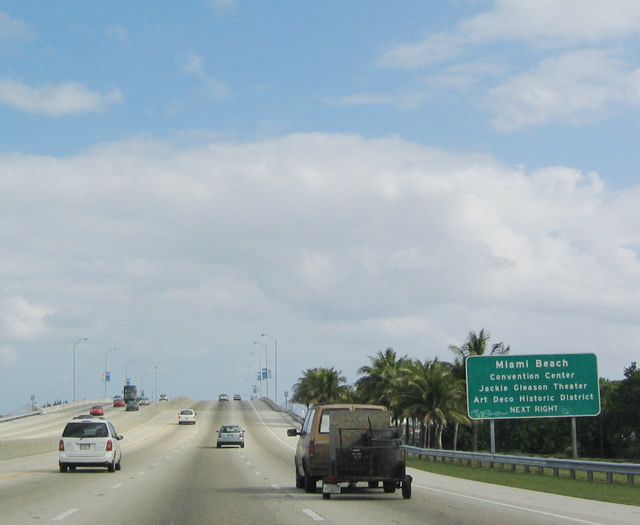 Drivers cross the Intracoastal Waterway and the Julia Tuttle Causeway Artificial Reef along I-195 west. 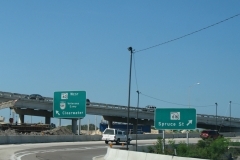 Today a sign bridge spans the westbound mainline at this location with a newer service sign for the reef preceding its former location. 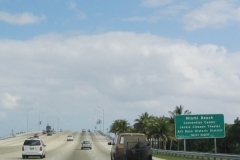 Photo taken 12/28/03. 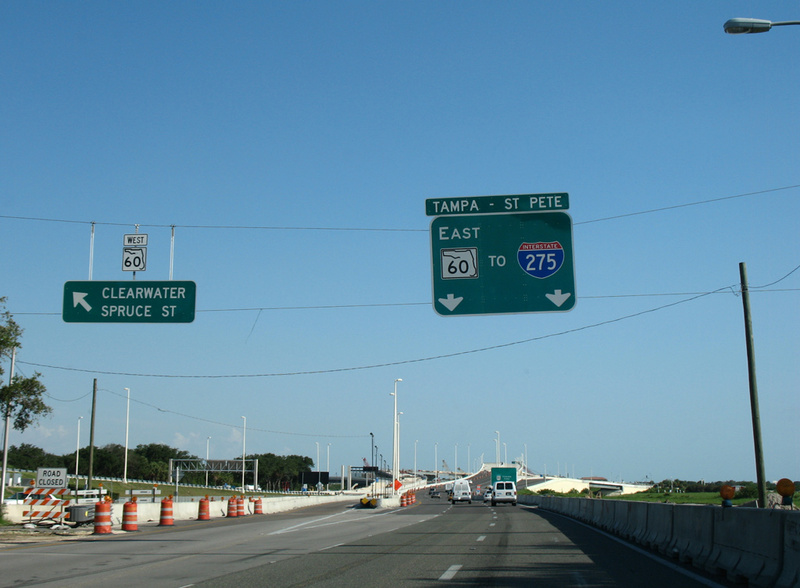 Signage on this overhead at the off-ramp to U.S. 1 (Exit 2B) was wholesale replaced in the mid 2000s. 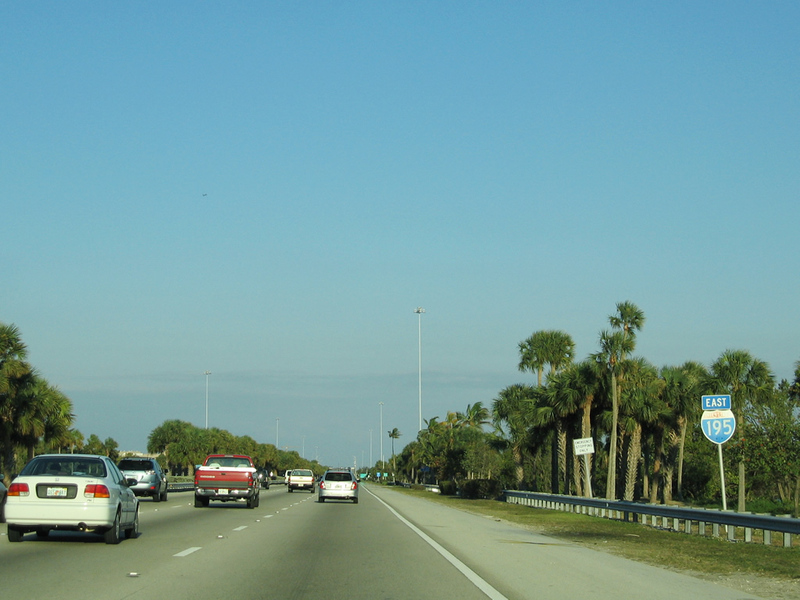 Photo taken 12/28/03. 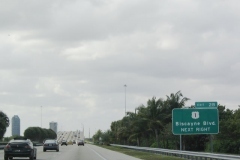 Former ground level sign along I-195 west for the upcoming interchange with I-95 to Downtown and North Miami (Exit 1). 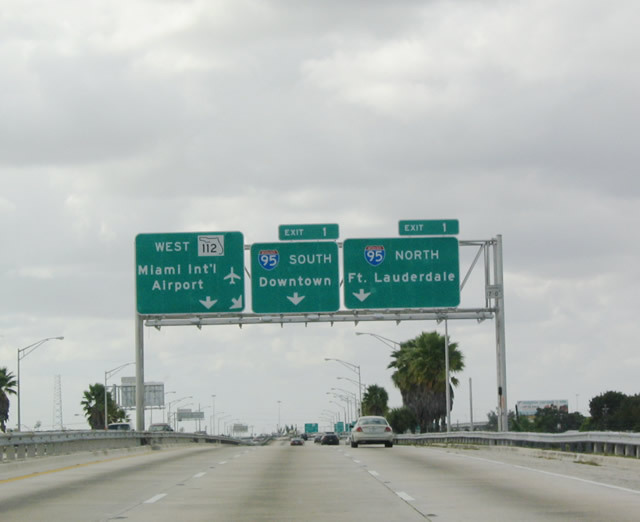 An overhead replaced this sign and replaced North Miami for Fort Lauderdale. 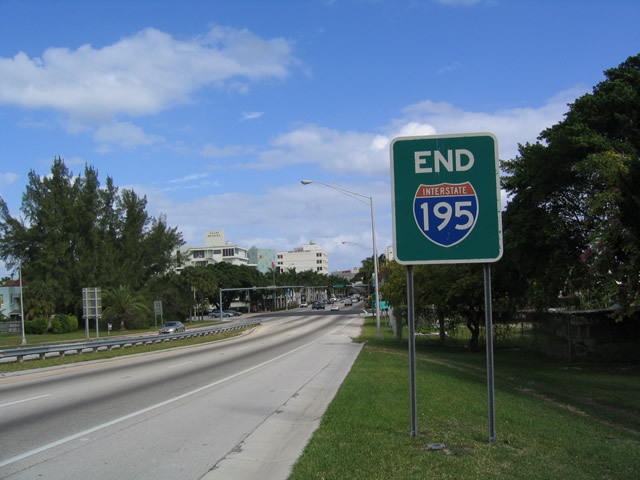 Photo taken 12/28/03. 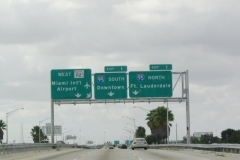 Traveling over a viaduct on the final approach to Interstate 95, Florida 112 will resume its west trek toward Miami International Airport along the Airport Expressway. 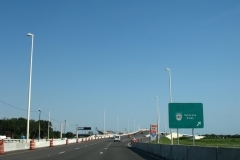 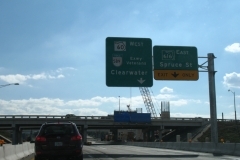 Updated guide signs in place by 2013 alert motorists to the eventual tolling of Florida 112 west. 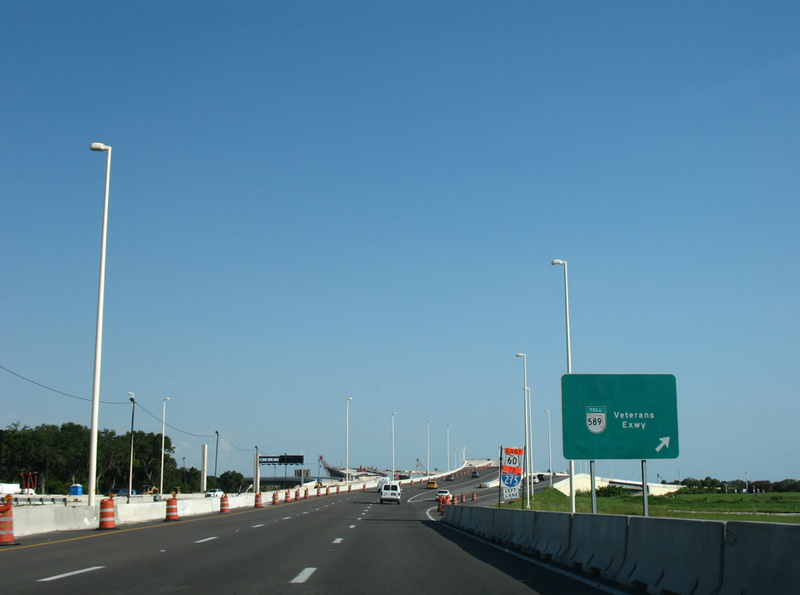 Open road tolling was implemented along the entire Airport Expressway (both directions) in late 2014. 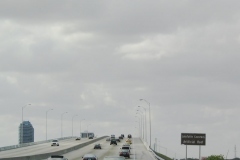 Photo taken 12/28/03.